Remove dough from can; let stand 5 minutes. 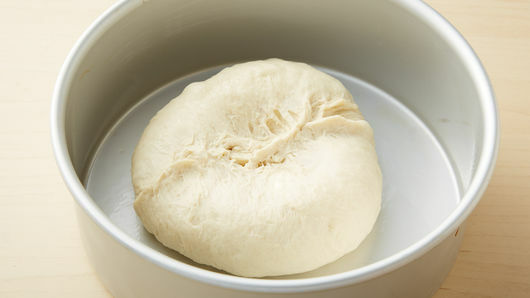 Shape into ring, firmly pinching together ends and top and bottom center of dough to shape and form a solid round; place in pan. Bake 26 to 30 minutes or until golden brown. Cool completely on cooling rack, about 1 1/2 hours. Meanwhile, microwave spinach as directed on box. Squeeze out liquid, and drain thoroughly; set aside to cool. In medium bowl, mix sour cream, dip mix and pepper flakes, mixing well. Stir in Parmesan cheese. Add artichokes and cooled spinach; stir until mixed well. Cover and refrigerate 1 hour. With serrated knife, carefully cut off very top of bread horizontally. 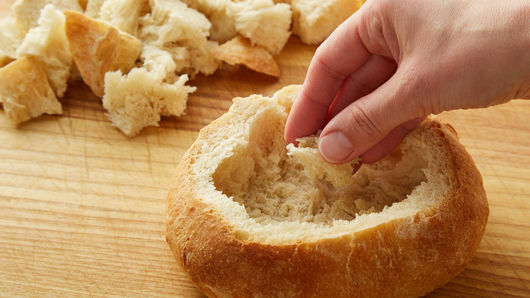 To make bowl, carefully pinch or tear out bread from inside (leaving 3/4-inch shell). Cut inside and top of bread into pieces; transfer to serving platter. Transfer dip mixture into center of hollowed bread bowl; transfer to serving platter with bread pieces. 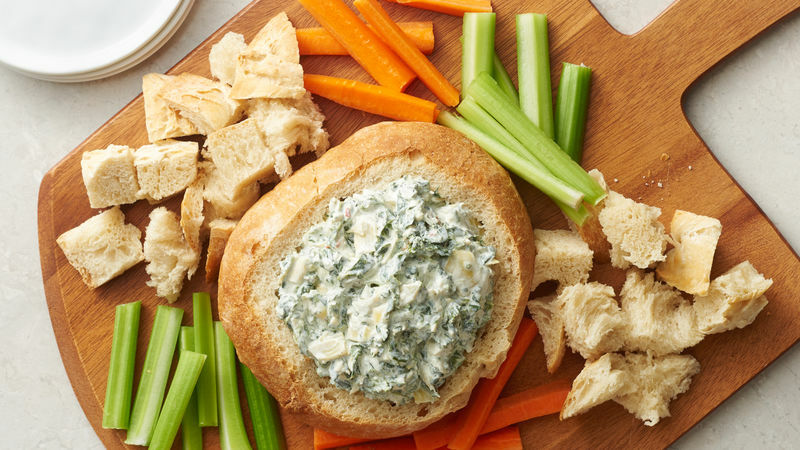 Serve dip with bread pieces and, if desired, fresh assorted vegetables. Letting dough stand a few minutes makes it easier to work with. 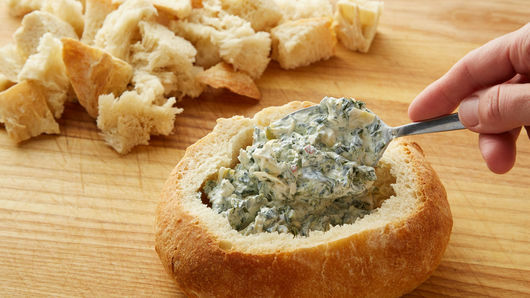 Chilling the dip for at least an hour before serving gives the flavors a chance to blend. Store remaining dip mixture covered in refrigerator.